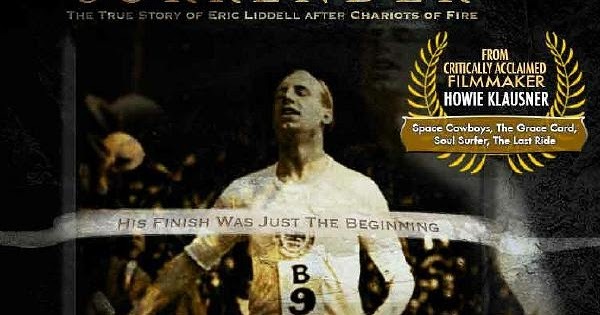 Chariots of Fire was just the beginning of the story of Eric Liddell, the Olympian who refused to run on a Sunday. 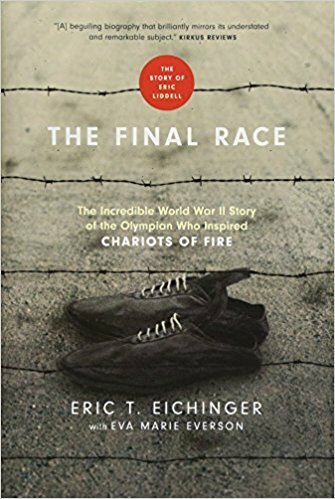 In The Final Race, Eric T. Eichinger captures the climax and conclusion of Liddell’s epic life. But he didn’t do it alone. He partnered with bestselling novelist Eva Marie Everson to produce a book that is truly remarkable. I first met my friend Eric Eichinger in 2000 when we were both serving in China. Every Sunday, expats like us met at Connie Mom’s for prayer, worship, and Bible study. Lunch and lots of laughter were always thrown in too. Even then, he was a huge fan of the gold-medalist who shared his love for China, running, and, above all, the Lord. But Eric’s admiration grew when he traveled to Weihsien where Liddell had lived and died. “Somewhere on my return home from that pilgrimage, I knew I had to tell the story in a way that had not yet been done” (p. xiii). After that fateful trip, Eichinger began writing the screenplay sequel to Chariots of Fire. Then he teamed up with award-winning Everson to write the book version, The Final Race: The Incredible World War II Story of the Olympian Who Inspired Chariots of Fire. Now he’s working with Howie Klausner, the producer known for writing Space Cowboys, to adapt the screenplay. A clip from an ad for the movie version of the story. Can’t wait to see it! I can’t imagine anyone more perfectly primed to tell Liddell’s story than Eichinger. In his own words, he describes the passions and pursuits that characterize both their lives. “As an eight-year-old Christian possessing the same first name as that of the Flying Scotsman and sharing a zeal for running, I became an instant fanatic of Eric Liddell by watching Chariots of Fire. I thought the parallels ended there, yet at that time my race had barely begun. Amazingly enough, I also happened to run collegiately. I served in my church’s youth ministry, and I served as a missionary in China, where, like Eric, I met my wife. I went on to study theology and ultimately became a pastor and a writer” (pp. 259-260). Full of the ups and downs of following in the footsteps of Christ, The Final Race inspires you to surrender all. Thoroughly researched and excellently written, Eichinger’s passion for the subject sparkles on every page. If you haven’t seen Chariots of Fire or don’t know the rest of Eric Liddell’s story, The Final Race is a must-read. [Tweet that!] In fact, this brilliant biography about one of our finest brothers in Christ deserves a prominent place on every Christian’s bookshelf. Published by Tyndale, The Final Race is available in hardcover, as an Audiobook, and as a Kindle book. I especially recommend it to people who enjoy history, biographies, and missionary memoirs. 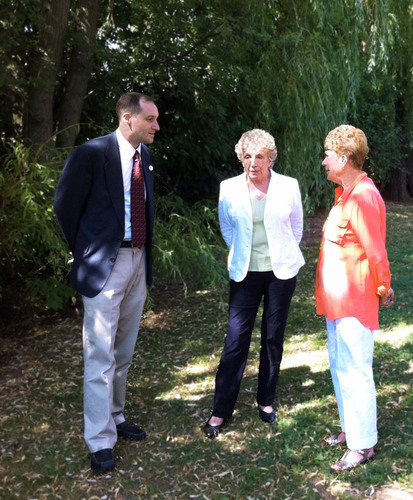 Want to learn more about how Eric Eichinger’s life intersects with his longtime hero? Check out our interview here. Liddell is one of my all-time heroes of the faith. Thanks to Eric Eichinger for immortalizing the great man even further. And thank you, Christy, for sharing him with us. I’ll enjoy this I’m sure. Great review! I loved the movie “Chariots of Fire” and would love to see the “sequel” if it makes it to the screen! 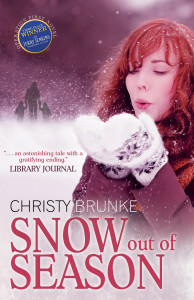 Thanks Christy for writing about this! I will be reading the book and hope one day to see the movie! I love the fact he served with you in China! Me too! 🙂 And you’re very welcome! 🙂 It’s an honor to get to help promote such a worthy book. I remember searching downtown to find a coffee shop and getting together regularly with Eric while we were in China. I remember those trips he took and his passion for Eric Luddell’s story and even back then him talking about writing a screen play. I’m so excited it’s come to fruition and excited to see the movie and read the book. Also as a side note, our little expat church was remarkable. Of the 8 people from it that I have kept in touch with, 3 still serve overseas, 2 are pastors and 2 pastors wives. Excellent news. The further details of The Flying Scotsman’s life needed to be told.